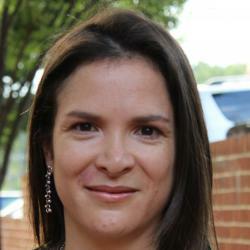 Adriana Camacho received her Ph.D in Economics from Brown University in 2007. She is an Associate Professor at the Economics Department from Universidad de los Andes (Bogotá, Colombia). She is the academic advisor for several ongoing projects led by the Direction of Impact Evaluation and Policy Learning at CAF. She recently served for the Colombian Government as Director of Monitoring and Evaluation of Public Policies at the Department of National Planning. She has held visiting research positions at Center for Global Development, World Bank- Latin America Chief Economist office and DIW (Berlin). She was editor of the Desarrollo y Sociedad Journal and now serves as invited editor for the Latin American Economic Review journal. She has carried out evaluation of social programs and their direct impacts on health and education, as well as its indirect effects on informality, political participation, and crime among others. She has studied the impact of the conflict on health and business activity. Her research has been published in international journals AER-pp, AEJ: Policy, WBER, EDCC, JCR, and The Lancet. It has been funded by the Colombian Institute of Family Welfare, IADB, the World Bank, ESRC / DFID and National Planning Department.